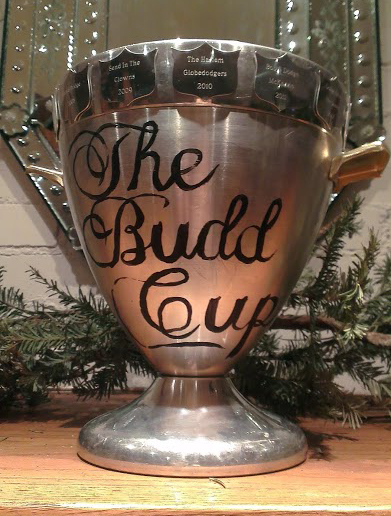 What was once an ice bucket gathering dust on a shelf at a Goodwill, is now a coveted prize for the winning team each year at the BuddCup. Previous champions like Mr. Dodgers Neighbourhood, Send In The Clowns and The Empire Dodges Back have all sipped from this beautiful trophy. Now the only question is who will be hoisting this prize in 2016?